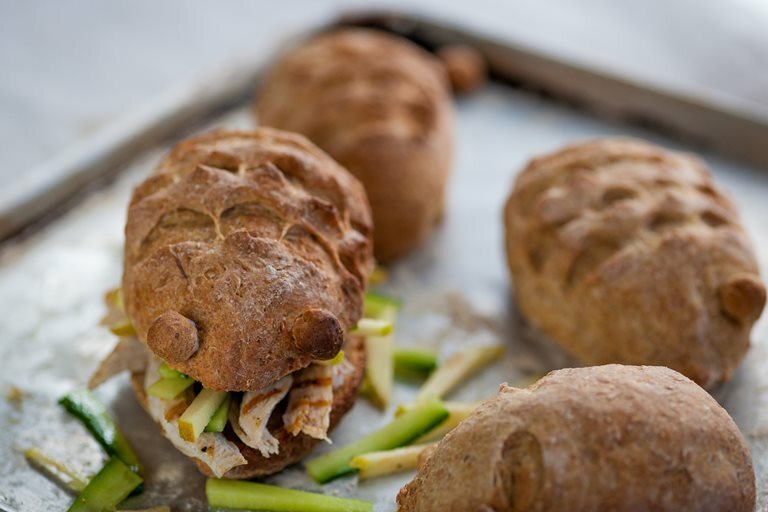 William Drabble often prepares these cute apple and chicken hedgehog rolls for his grateful daughter. If you think you can create other animals out of the bread dough, go ahead and experiment. The combination of chicken and apple will certainly be appreciated.